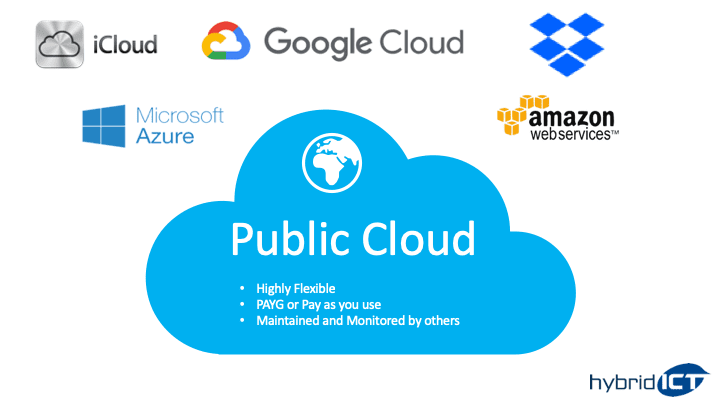 Public clouds are owned and operated by a third-party cloud service providers, which deliver their computing resources like servers and storage over the Internet. Microsoft Azure is an example of a public cloud provider. With a public cloud, all hardware, software, and other supporting infrastructure is owned and managed by the cloud provider. You access these services and manage your account using a web browser. A public cloud is where an independent, third-party provider, such as Amazon Web Services (AWS) or Microsoft Azure, owns and maintains compute resources that customers can access over the internet. Public cloud users share these resources, a model known as a multi-tenant environment. Amazon Web Services (AWS) are another leading provider of public cloud services. Organizations all over the world recognise Microsoft Azure over Amazon Web Services (AWS) as the most trusted cloud for enterprise and hybrid infrastructure. AWS is 5 times more expensive than Azure for Windows Server and SQL Server. More than 95 percent of Fortune 500 companies use Microsoft Azure. Businesses and organisations around the world—small and large, old and new—rely on Microsoft Azure to provide trusted cloud services.